We are still recovering from the myriad of announcements that came from Microsoft’s E3 Press Conference yesterday. During the event, several high-profile games were shown, but three games that were highlighted during the keynote have new or different development teams at the helm compared to previous iterations. Here is a quick run-down of the franchises from the Microsoft presser that have different developers at the helm for their sequels: Shadows of the Tomb Raider, Crackdown 3 and Devil May Cry 5. The third game in the newest series of adventures featuring Lara Croft is no longer being lead by Crystal Dynamics. That team is hard at work on an untitled project featuring Marvel’s Avengers. Eidos Montreal will be leading the charge on the new Tomb Raider sequel. It is not their first exposure to the series as they created the multiplayer mode for the first game and partook in developmental duties on Rise of the Tomb Raider. The first gameplay trailer of Shadows of the Tomb Raider features Lara Croft exploring tombs, escaping danger and facing down fearsome creatures in the jungle but precise gameplay details were sparse. A seven-minute gameplay clip was shown today at the Square Enix press conference. The game launches on September 14 for Windows PC, PlayStation 4, and Xbox One. The third game in the Crackdown franchise has had a tumultuous development cycle. After a middle chapter that cooled a lot of the excitement for the series, Crackdown 3 was officially announced by Phil Spencer at E3 2014. The game has been delayed several times and development has shifted between a few teams within Microsoft. The original Crackdown was developed by Realtime Worlds (they also released APB which reportedly sunk the company) and Crackdown 2 was made by Ruffian Games. It was the studio’s first project. Crackdown 3 is a co-production of Cloudgine, Reagent Games and Sumo Digital. At the start of development, Ruffian Games was also involved in the project. Last year, the split between the studios was as follows: Sumo Digital was in charge of the campaign while Reagent Games and Ruffian Games were in charge of the multiplayer. Cloudgine was an engine provider. 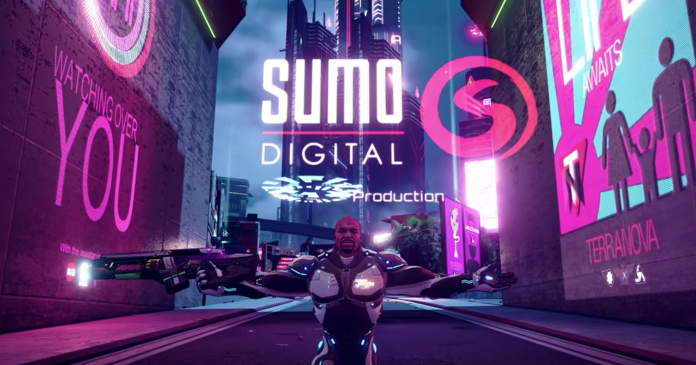 However, Ruffian Games was not called out in the latest round of promotional materials for the game and Ruffian’s social media has made no mention of Crackdown 3 over the past 12 months. Capcom handed the reins of the Devil May Cry series to Ninja Theory in the early 2010s and with Capcom’s blessing rebooted the franchise creating DmC: Devil May Cry. Although the game reviewed favourably, many long-time fans of the series couldn’t connect with the change of pace for the series. There was Ninja Theory news at E3, but it has nothing to do with this title. The game is being steered back to Capcom under the direction of Hideaki Itsuno (he was the main director on Devil May Cry 3 and 4). The game centres around Nero (whose arm has been replaced with a prosthetic one) and Dante 10 years after the events of Devil May Cry 4. Devil May Cry 5 launches in Spring 2019 on PC, PlayStation 4, and Xbox One. For a detailed breakdown of all of the announcements from the Microsoft event, check out our liveblog from the event. Scholarly Gamers will be providing continued coverage of E3 2018, all week long.